So began St. Patrick’s Day in Chicago 2018. As we do every year, CWBChicago editors monitored Wrigleyville police and fire radios for potential news (and for our yearly run-down of the insanity that was heard). For the first time this year, we also listened in on activity downtown. We were hoping to be able to declare a winner for most arrests—would Downtown's massive crowd overpower Wrigleyville's drunken expertise? But declaring a winner is proving to be more difficult than anticipated. Here's what we know: As of 8:30 p.m. on Saturday, Downtown had seven known St. Pat's-related arrests and Wrigleyville had six. But Wrigleyville seemed to be picking up steam. We'll take a look at the police records and declare a winner this week. 10:12 AM — Dearborn and Randolph. 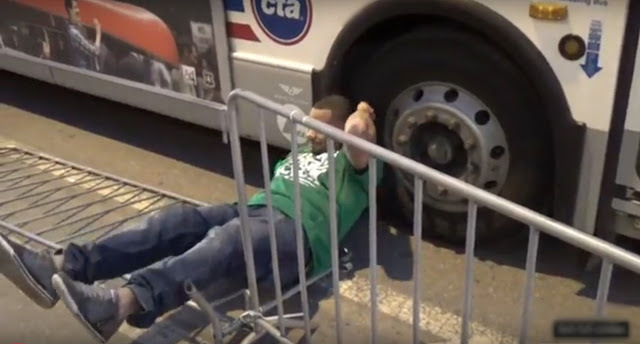 People are climbing on the CTA bus. 10:14 AM — Marine Unit: “Send me more cars. We need to clear out City Winery” on the Riverwalk. 10:40 AM — “Complainant says a male white in an orange hat and green jacket just punched him, took his hat off, and threw it.” Illinois and Columbus. 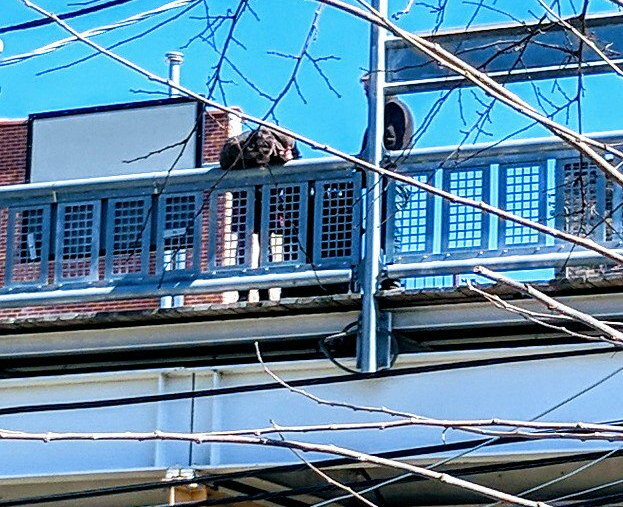 10:52 AM — Male white, green sweatshirt, green pants, walking on the handrails of the State Street bridge. 10:54 AM — Man stabbed in robbery attempt aboard inbound Metra train. Primary suspect: Male, black, 18, 6’4” tall, green sweatshirt and a vest. 11:32 AM — CTA says people are throwing beads at passing trains. 900 block of Wellington. 11:16 AM — Second person found with a minor stab wound on that Metra train. 12:29 PM — Request for crime scene tape to keep people away from City Winery. 12:35 PM — "They're throwing beer bottles at the parade by the Lincoln statue. Get me a mounted unit." 12:36 PM — Prisoner transport van: “Now we got an intoxicated male in front of us.” EMS going. 12:44 PM — EMS rolling for a 15-year-old male who’s passed out drunk. Jackson/Wabash. 12:48 PM — EMS rolling for a 17-year-old who’s passed out drunk by the skating rink. 12:54 PM — Female passed out between the porta-potties. Jackson and Congress. 1:11 PM — “We gotta get these people outta the trees!” near the Lincoln Statue. 1:18 PM — “Do we have the Lincoln Memorial under control yet?” Answer: Absolutely not. 1:18 PM — It’s too close to call officially, but it appears that Wrigleyville had its first arrest of the day before downtown did. The honoree is hauled away from Deuces and The Diamond Club, 3505 North Clark. 1:23 PM — Back downtown, the first float has crossed the finish line. 1:24 PM — “Intoxicated male down” at the water tower pumping station. 1:28 PM — First known arrest downtown. Michigan and Wacker. 2:46 PM — A total of four arrests at this point downtown. 3:29 PM — Person with a gun. Male white, green jacket pulled a gun from his backpack near Michigan and Monroe. Suspect is immediately taken into custody in front of the Chicago Athletic Association Hotel. Firearm recovered. Arrest #6 for downtown. 4:42 PM — State and Illinois. “We got a female white who fell and hit her face on a pole.” Dispatcher: “Oh, my! Is she intoxicated? 5:35 PM — There are currently two battery reports being taken at the Wrigleyville Taco Bell. Separate incidents. 5:38 PM — Now we have three battery victims behind Barleycorn in Wrigleyville. 5:45 PM — At 1160 South Michigan, there’s a male white, green jacket, green jeans and green smudges on his face trying to break into a condo. 5:46 PM — Clark and Belmont: "Caller says a man with pigeons on his jacket is trying to take advantage of a woman in a cheetah-print outfit at Target.” She’s very intoxicated. 6:08 PM — Caller wants to see the police at 324 West Chicago. She says “they physically threw her out of the bar.” She’ll be wearing green leggings, a green skirt, and a green shirt. 6:22 PM — Woman says a male Hispanic just sold her sister crack cocaine at the adult bookstore, 53 West Hubbard. The caller will be inside the bookstore. 6:29 PM — Arrest #3 for Wrigleyville. A woman in custody for battering a man in the 3500 block of North Wilton. 6:32 PM — “A male drunk with a gash on his head walked into their apartment, went into the roommate’s bedroom and fell asleep. They don’t know the guy.” State and 8th. 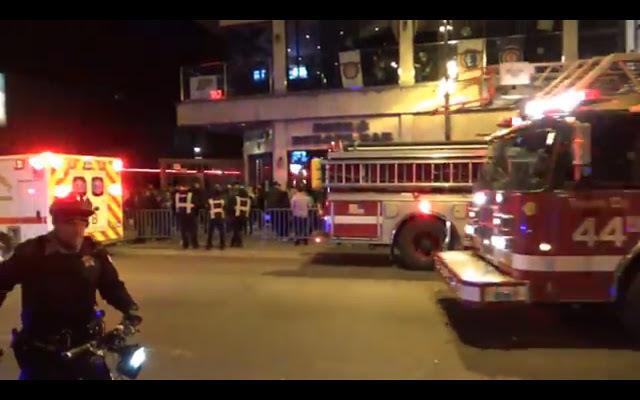 7:03 PM — Wrigleyville arrest #4. Man battered security at Taco Bell. 8:08PM — Boystown records its first arrest of the evening. Congratulations, Roscoe's! Keeping with our scorekeeping rules, the arrest will count toward Wrigleyville's total. 8:28PM — Footchase! One in custody behind HVAC in Wrigleyville! That's #6 for the North Siders.